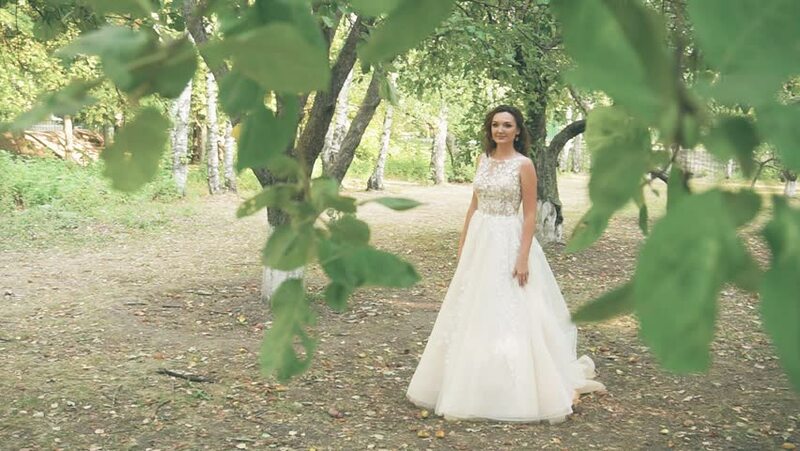 hd00:21A beautiful young girl in a wedding dress standing under a tree. hd00:08little girl model in a beautiful blue dress posing against a waterfall in the forest. 4k, slow motion. hd00:12Beautiful bride pose with wedding bouquet outdoor in sunny day. Caucasian young woman with long dark curly hair gently keep the flowers and spinning around. Slow motion.